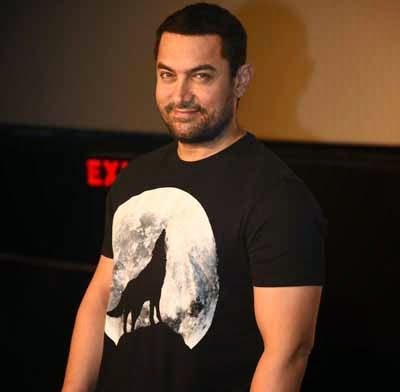 Mumbai : Bollywood actor Aamir khan, who is well known as Mr. Perfectionist of bollywood, is turning 50 on Saturday March 14, has revealed that he has gained 22 kilos for his next flick 'Dangal'. Speaking to media persons at the DVD launch event of 'P.K', Khan spoke about his diet and said, "I am allowed to eat anything these days, except that I have turned vegetarian so I don't eat non-veg or eggs. Apart from that I am eating everything and that too in good quantity. Currently, I weigh 90 kilos and I was 68 kilos at the time of 'P.K', 'Dhoom 3' and 'Ghajini' when I had built up my body." The '3 Idiots' star's role in 'Dangal' is reportedly based on a real life wrestler named Mahavir Phogat, the father of wrestlers Geeta and Babita, and the makers are still on the lookout for actresses to play his daughters.